The fortresses at Novogeorgievsk, Grodno, Osowiec, Brest-Litovsk, and Olita have all fallen or are coming under attack today, fifteen days after the fall of Warsaw. Russia’s frontier fortifications were supposed to cover the great retreat of her armies to a new line of defense, but they are falling faster than expected, for modernization lagged long before the Russian Army sagged. 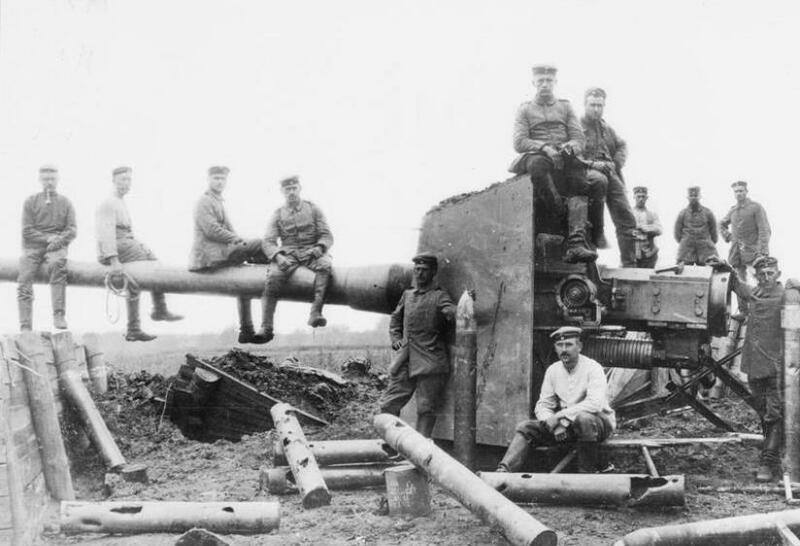 The German Army are past masters at breaking defenses like these, and the siege of Novogeorgievsk has followed the same rigorous schedule of encirclement and destruction as the invasion of Belgium a year ago; in fact, the same siege train of heavy howitzers fight under the same general, Hans Hartwig von Beseler. 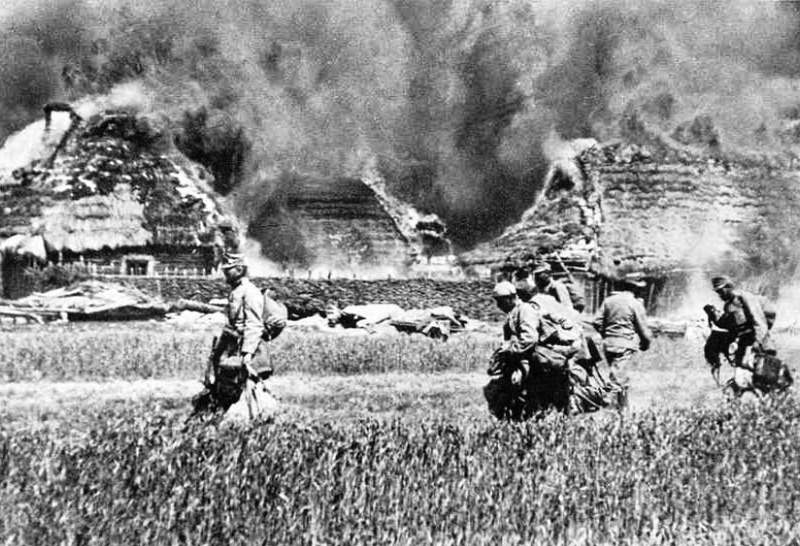 The campaign for the Novogeorgievsk fortress began on August 6th with a chlorine gas attack across a five-mile front, catching the defenders unprepared and affecting civilians up to seven miles behind the front line. As with the first uses of chemical weapons on the Western Front, the follow-up infantry attack did not include sufficient reinforcements, and the grim determination of Russian soldiers who manned their weapons while coughing up blood was enough to stifle the assault. But within four days, the fortress was surrounded, and a week ago the bombardment began in earnest. 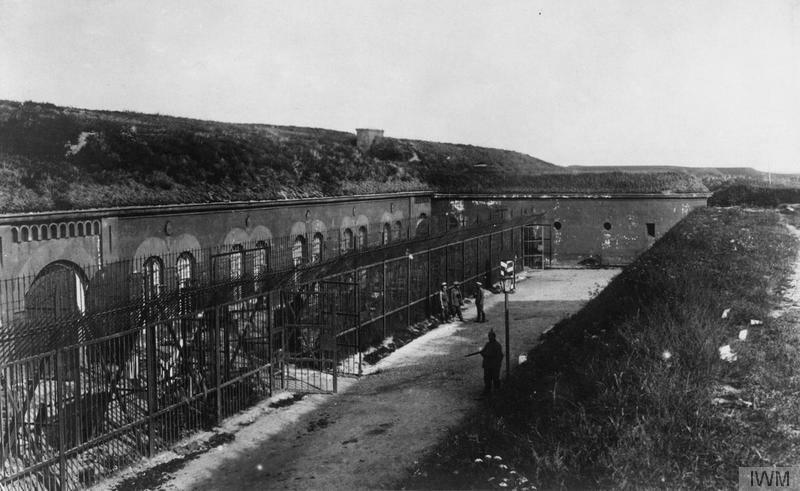 By sheer luck, German troops had captured the fortress’s Chief Inspector along with his full set of defense plans, and after Beseler brought up the big guns to batter the first three forts of the complex, an attack by 22 infantry battalions captured two, forcing the Russian defenders to cross to the northern bank of the Vistula River yesterday and concentrate in the inner defenses. Expecting no relief, with the citadel itself now coming under a devastating rain of high explosives, at dawn today General Nikolai Bobyr begins the final surrender, and the shattered 90,000-man garrison marches to captivity behind thirty generals. As flames rage through an ammunition bunker full of cartridges, perforating the day with the rattle of bullets cooking off, nearly 1,600 artillery guns and a million shells of various calibers fall into German hands. It is a Russian national disaster. 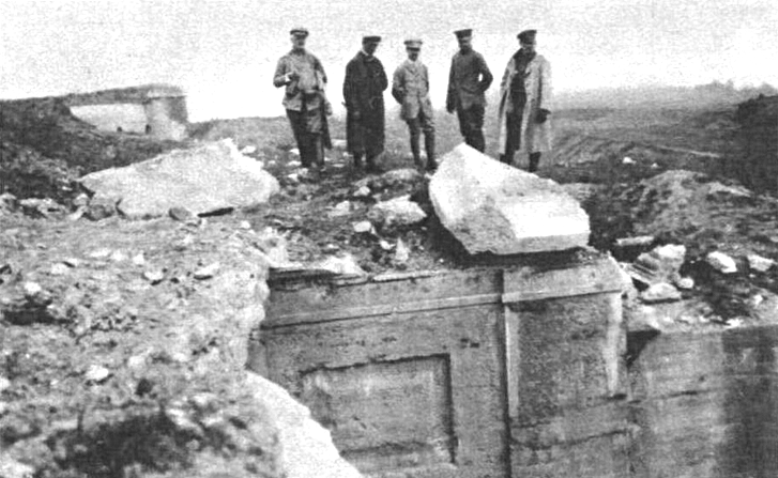 The Russian Army has been hollowed out by previous disasters: some of the units defeated here, such as the 63rd Infantry Division, are still being rehabilitated from the mauling they received at the hands of Army Group Mackensen this Summer, and are thus nowhere near full strength, so the actual fighting power on hand is about 55,000 versus the 80,000 Germans in the attacking reserve formations. The proud and expensive fortresses that were supposed to protect the Empire seem to be as easily cracked as eggs, too: Osowiec falls in two more days, Białystok falls in another six days, with Olita capitulating the day after that; all of them are incapable of shrugging off the most modern artillery in the world. 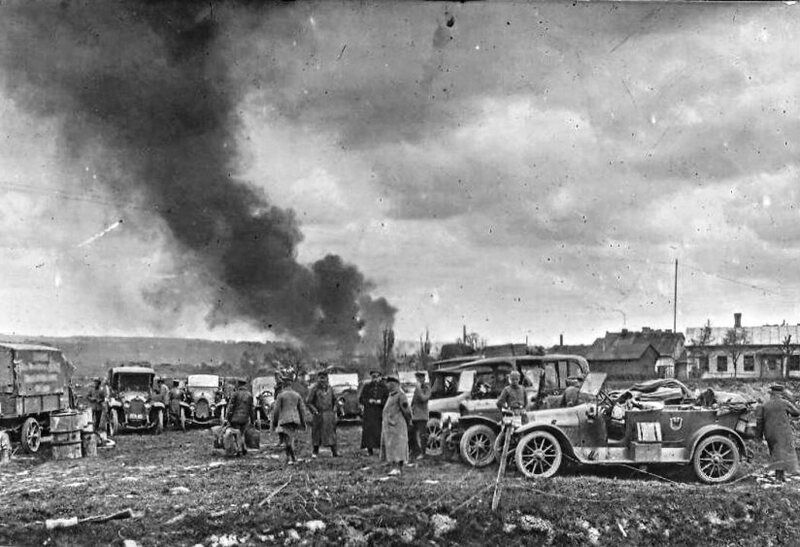 This momentum lasts into September, with Austro-German formations capturing Grodno on the 2nd and Vilna on the 18th, destroying whole Russian divisions while saddling the Central Powers with the care and feeding of hundreds of thousands more prisoners. 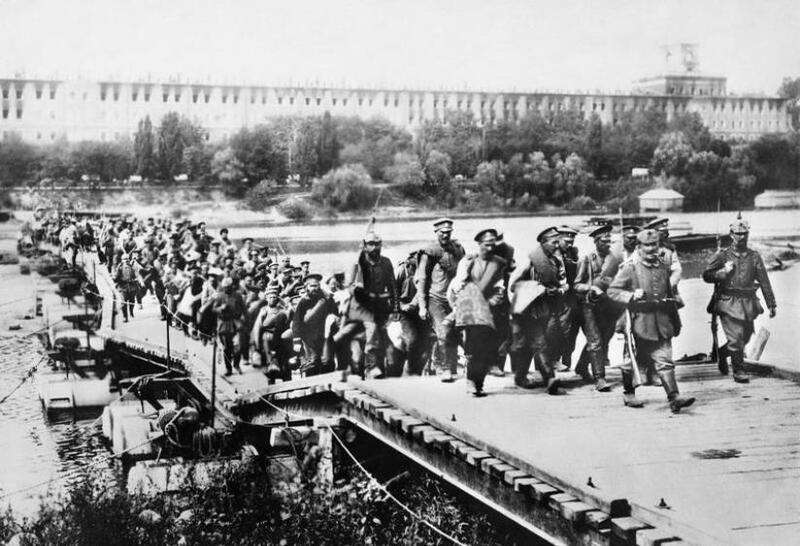 But September also sees the Central Powers shift their forces, with German units being moved to the Western Front by rail and moving others through Austria-Hungary. Still simmering over the proximate causes of the conflict, the Hapsburg emperor wants to knock upstart Serbia out of the war and decisively defeat his original foe, while the German Kaiser wants to establish a land link with their Ottoman allies to relieve their material deficiencies. Both Vienna and Berlin are wooing the Bulgarians in hopes of attacking the Serbs from three sides, overwhelming the Balkan state and wiping it from the map. Field Marshall August von Mackensen, whose eponymous army group has made this string of victories possible since May, will be granted leave in September, before he is sent to command the new offensive in the south during October. His reputation already established, Mackensen will gild it even further by the conquest of Belgrade. And with that, the Central Powers pass from a position of advantage back to a stalemate on the Eastern Front. Now that the Polish salient has been conquered, the Russian threat to Hungary which had seemed so real just a few months ago has completely evaporated, reducing the urgency of further offensives. Satisfied with the flatter, shorter, and therefore more easily-defended new line between the Baltic Sea and the Romanian border, Chief of the German General Staff Field Marshall Erich von Falkenhayn looks to reinforce against expected allied attacks in France. The Austrians press their attacks with exhausted armies; even the units in Mackensen’s formation are bled white, and in need of recuperation by September. And the Russians have their own plans. Despite the huge losses, their Army is still strong yet, and for the most part their retreat has taken place in fairly good order, with the vast majority of troops escaping entrapment. There will be opportunities to purge the embarrassments of August. The Tsar is not defeated; indeed, he has another grand gesture with which to rally his demoralized masses tomorrow.